Life is busy. You have work commitments, children to care for, friends and family to spend time with …it seems like the calendar fills up each month faster than the one before. At Canopy, we are setting out to take a few things off your plate. We want to give homeowners their weekends back. More than just offering more free time though, we want to change the way homeowners feel about their home service providers. It seems that the standard for service in home maintenance has been set horribly low. Getting home projects done is a headache and homeowners are used to sub-par service as the status quo. We believe that should change. Starting with lawn care, Canopy is making it easier to receive quotes, book service and expect better customer care. Homes are personal and we understand that. When we send our crew members out to your home, you can rest assured that they will treat your landscaping as if it was their own. Your lawn care crew will be professional, easy to communicate with and ready to answer any questions that you may have. At the root of things, we are a technology company. Our focus is changing the home maintenance industry, starting with lawn care. Our technology makes it not only easier for customers to communicate with us, but also our crews and office teams to communicate with each other. When you call our office, we can tell you when a crew member will be headed to your house and who you can expect to be there. They take before and after photos of every job and submit them with their work orders, so we always have them available to send to you. On a more philosophic level, we believe that by creating a company culture that encourages and rewards our employees, from the CEO to the crew teams, we are creating a better customer service experience. It’s really quite simple. Happy employees feel more incentivized to provide better customer service. We also make purchasing our services easy. Customers can enter their information online and receive a quote via phone, email or text message, or if an in-person quote is preferred, we can do that too! By creating three straight forward full service packages, we make it easy for customers to choose the package that will work best for their lifestyle and lawn. Should a customer prefer to purchase their services a la carte, they can do that too! Our pricing is competitive. 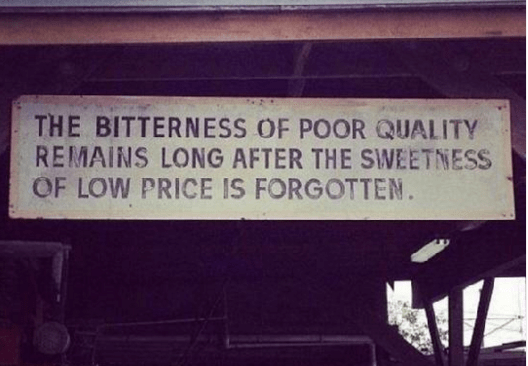 We may not always be the cheapest provider, but we strongly believe in providing the better value. All of our work is guaranteed. If ever a customer is not happy, we work with them to make it right or refund their money. It is that easy. We will give you your weekends back!